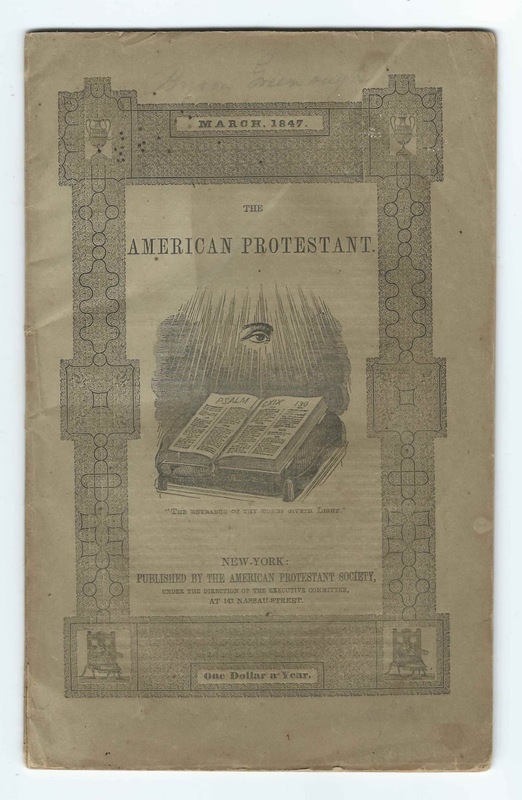 Heirlooms Reunited: March 1847 Issue of the American Protestant, published by American Protestant Society, New York, New York. 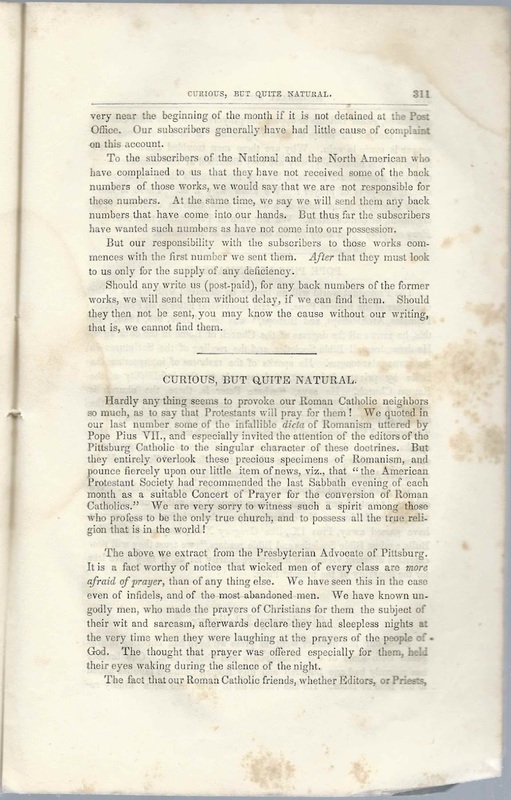 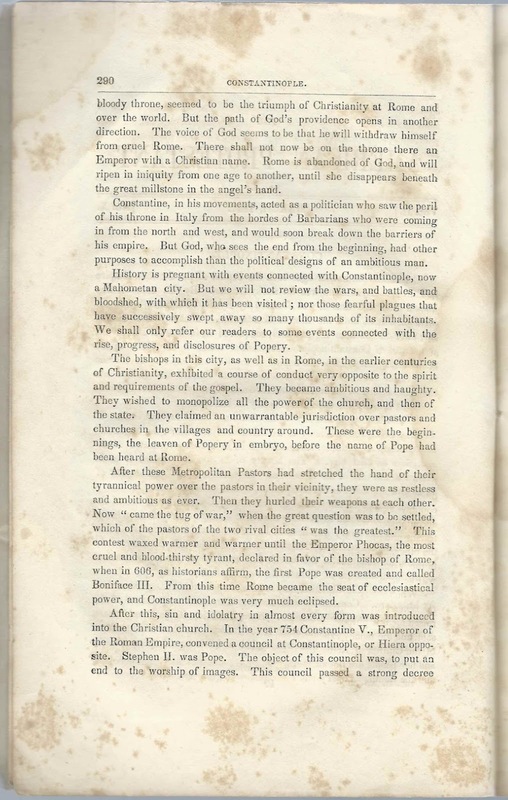 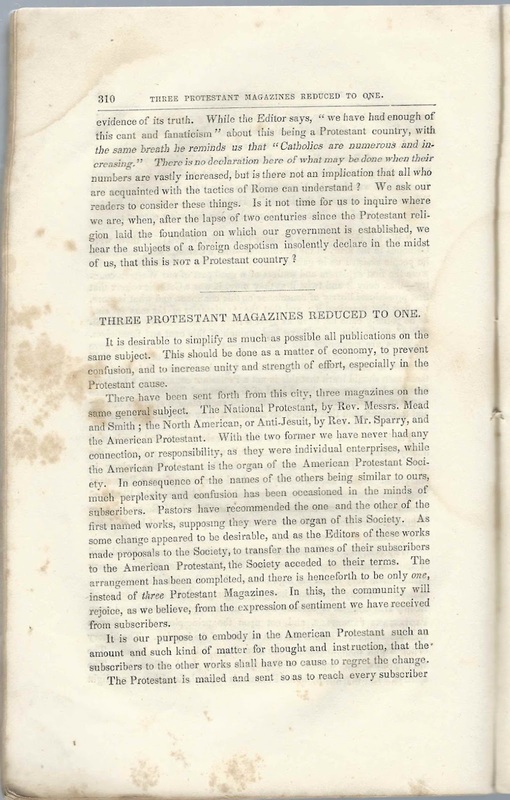 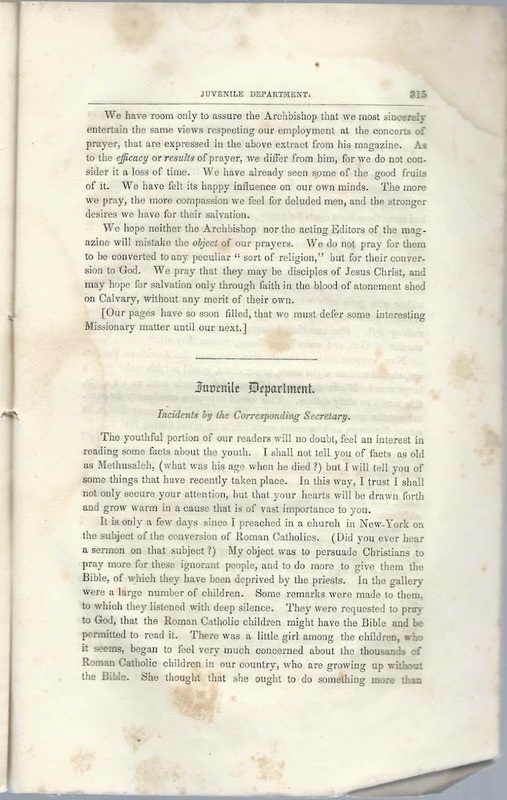 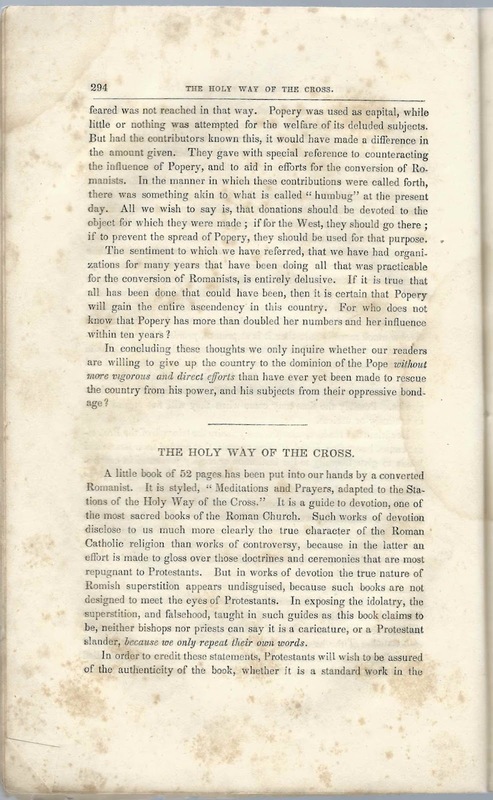 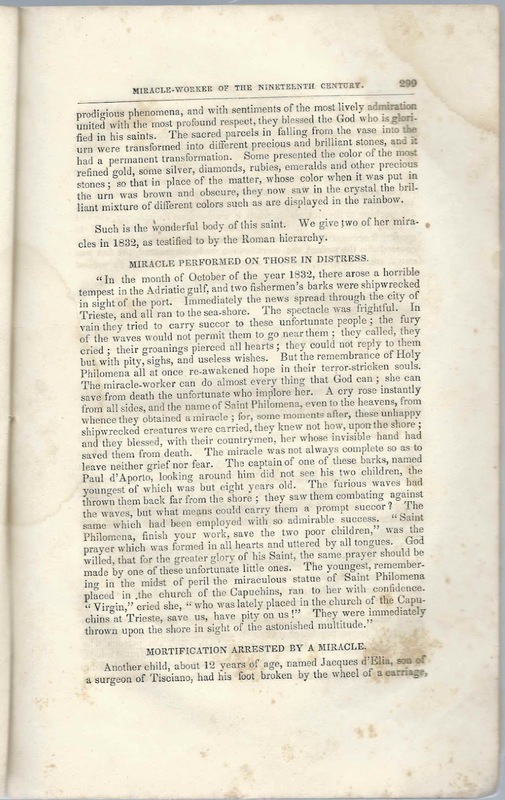 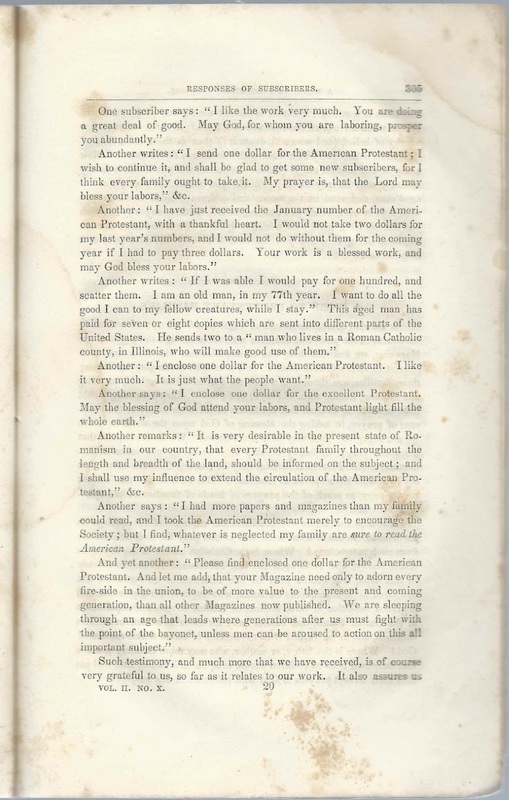 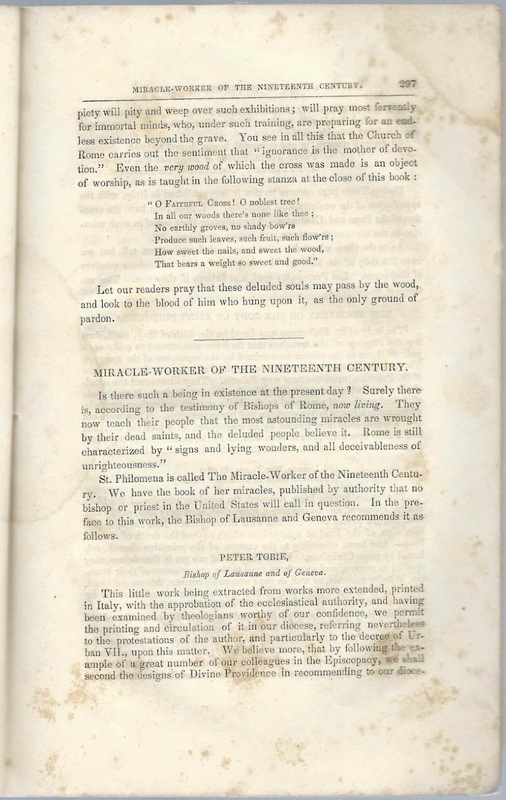 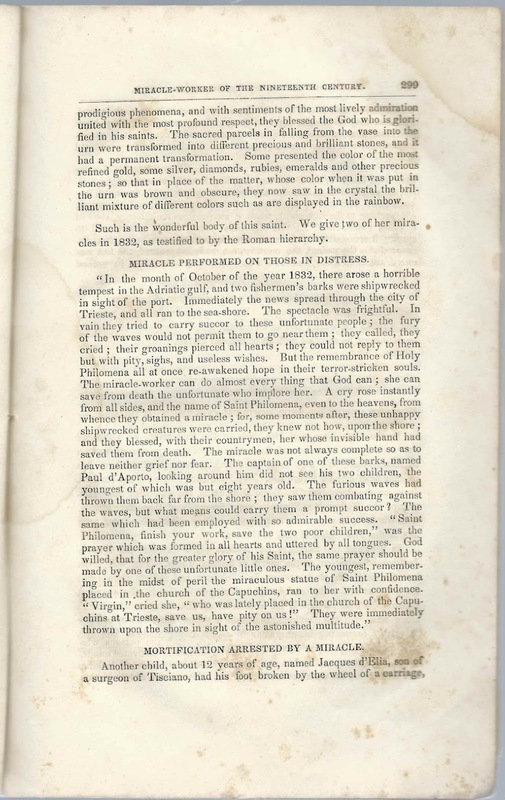 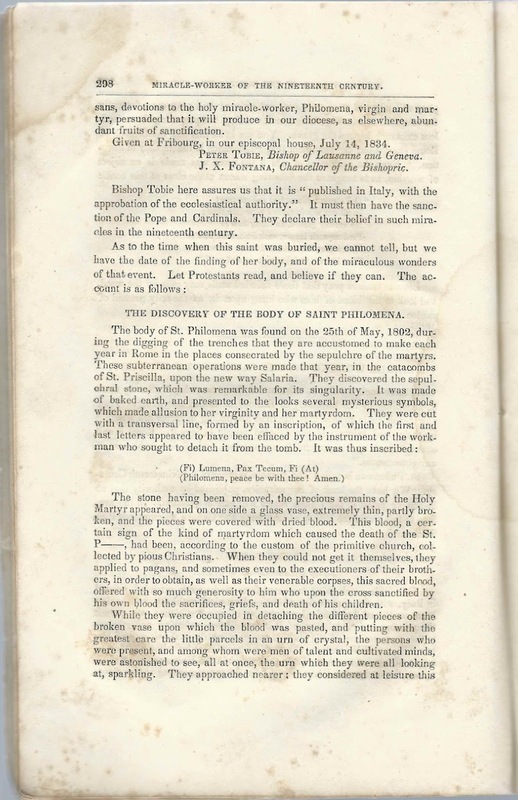 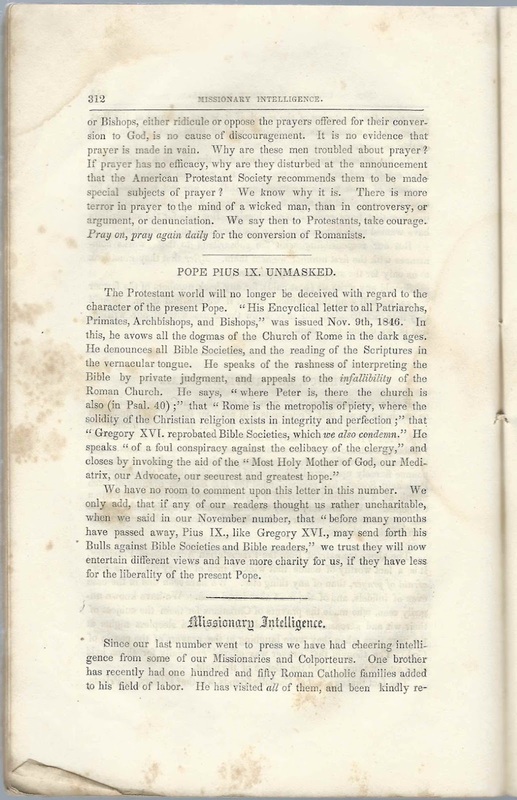 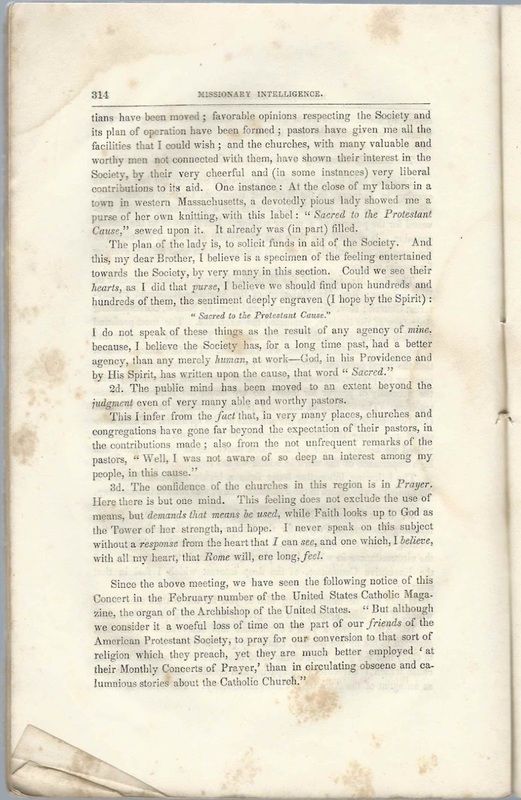 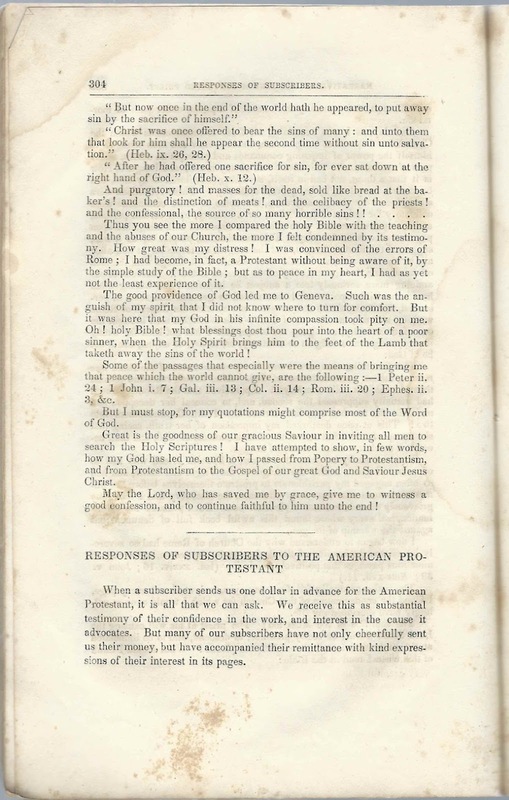 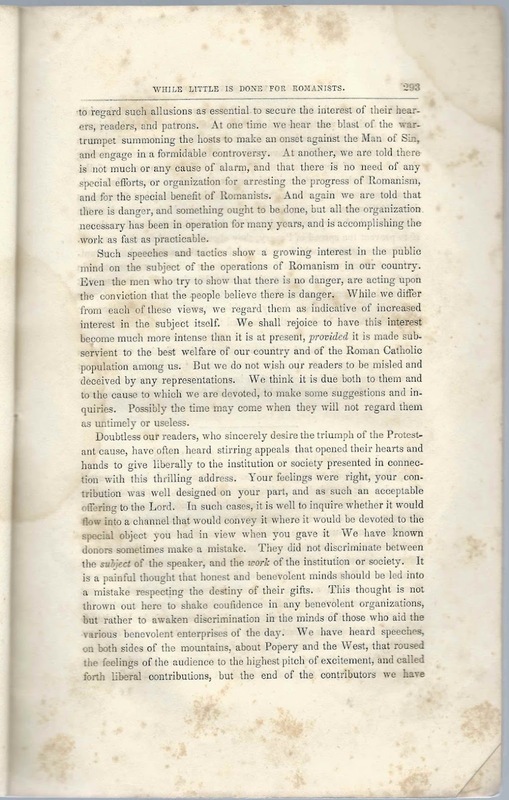 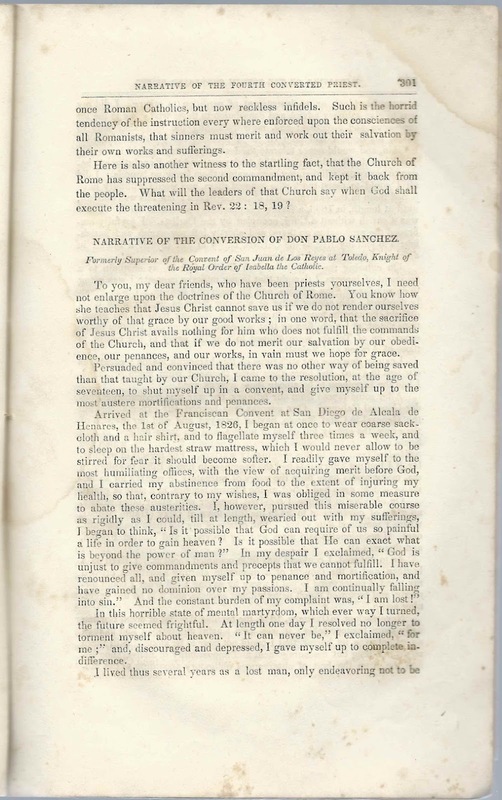 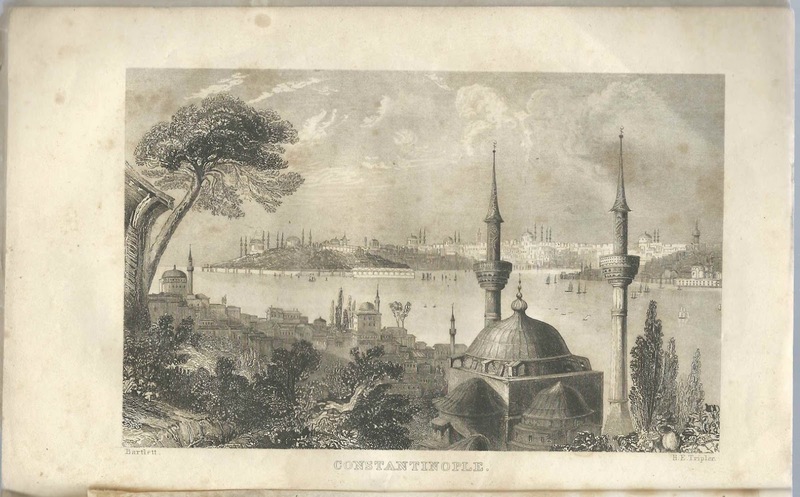 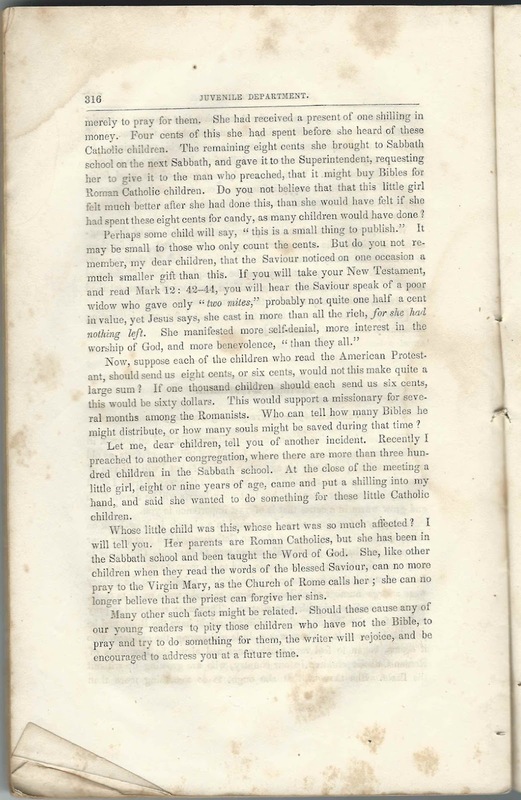 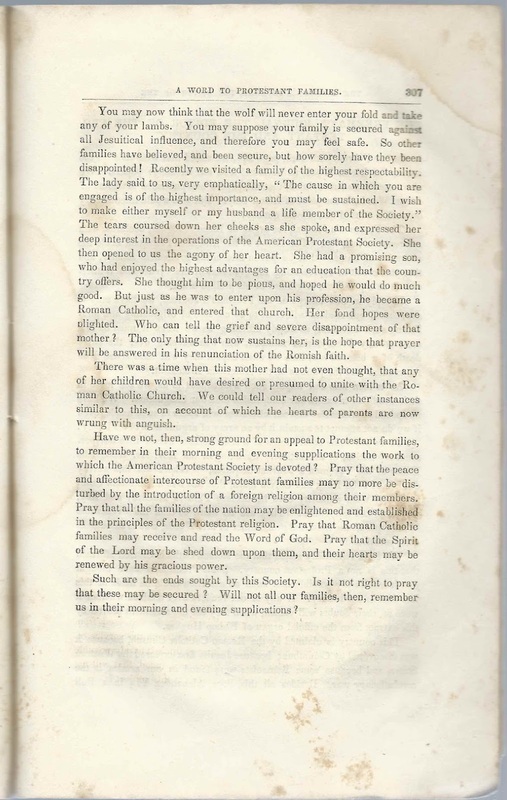 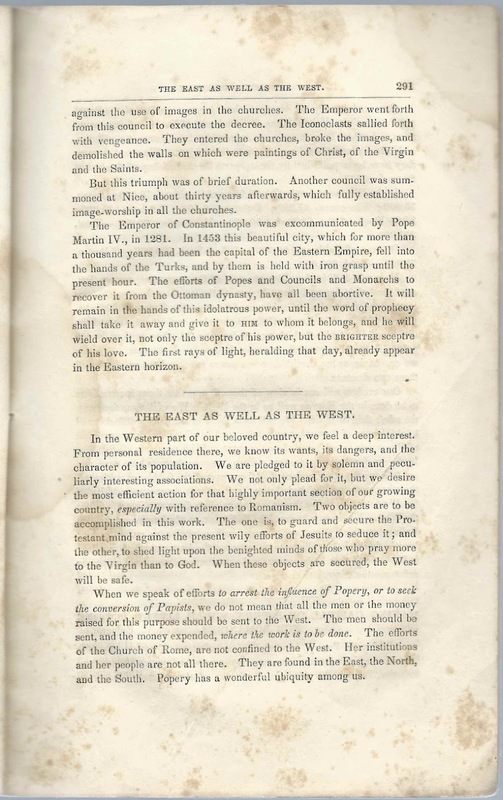 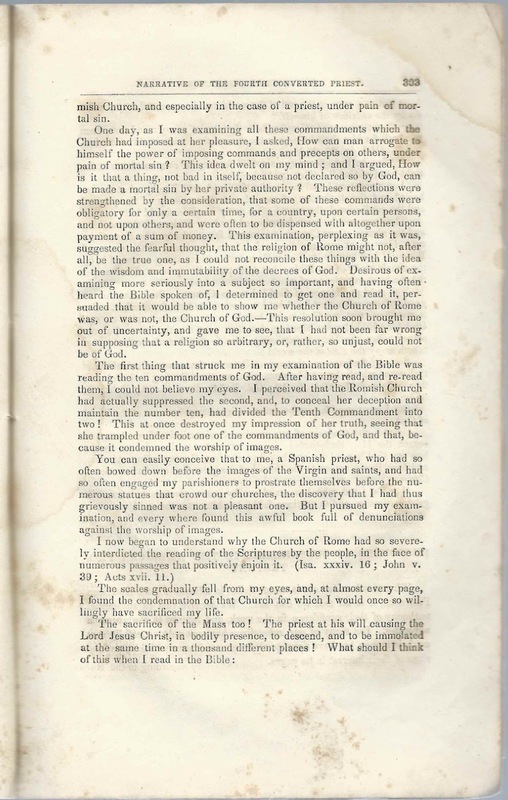 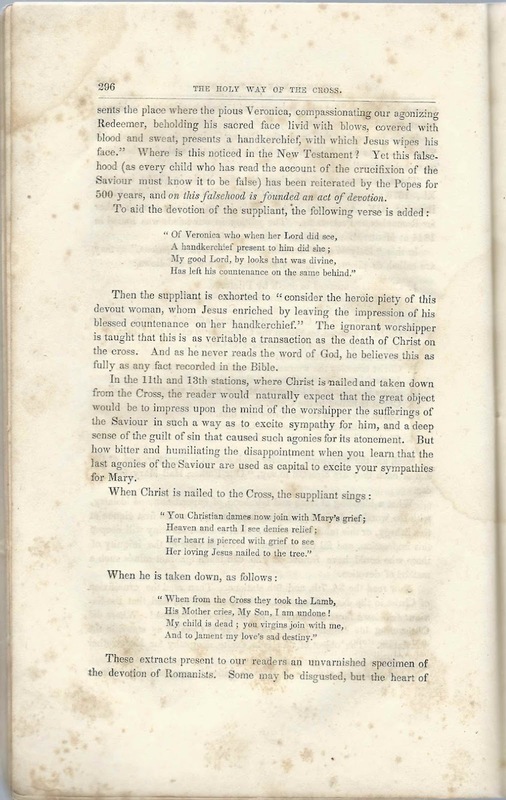 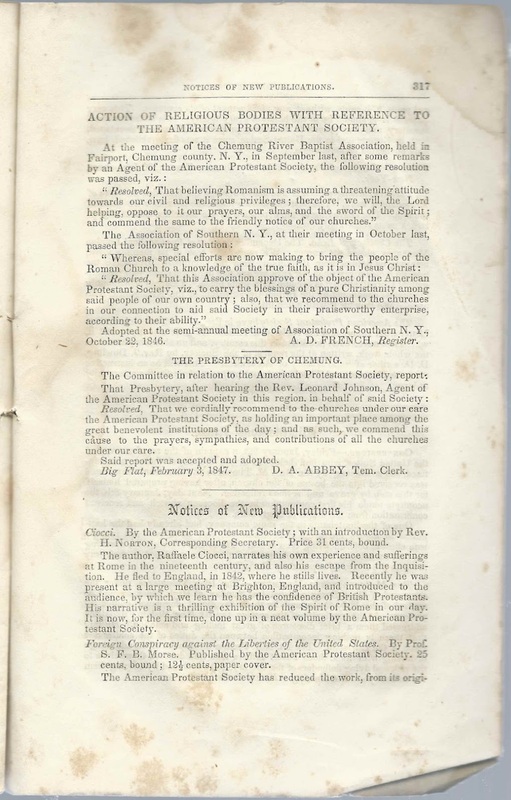 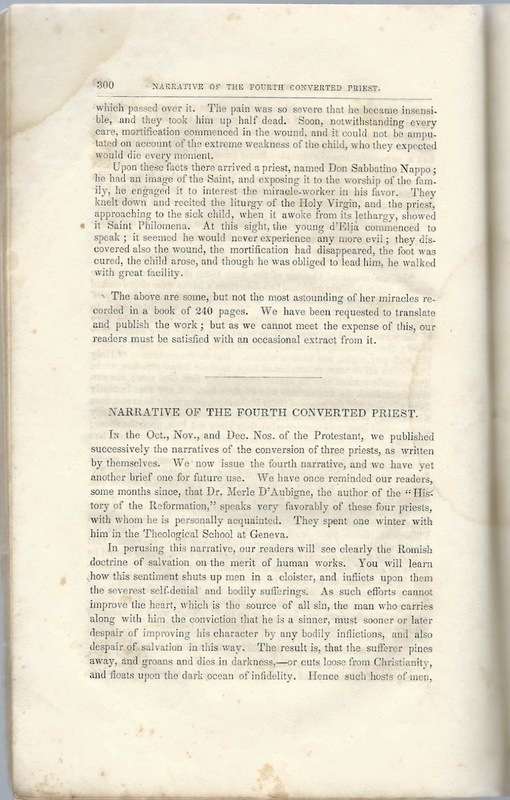 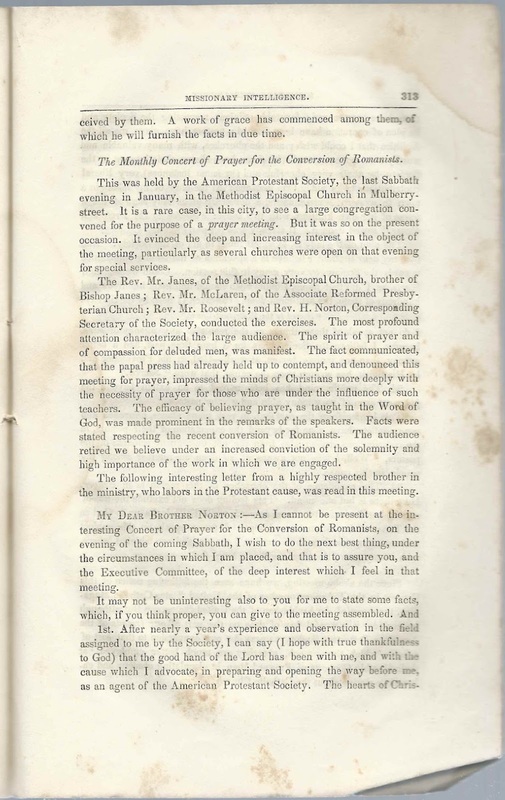 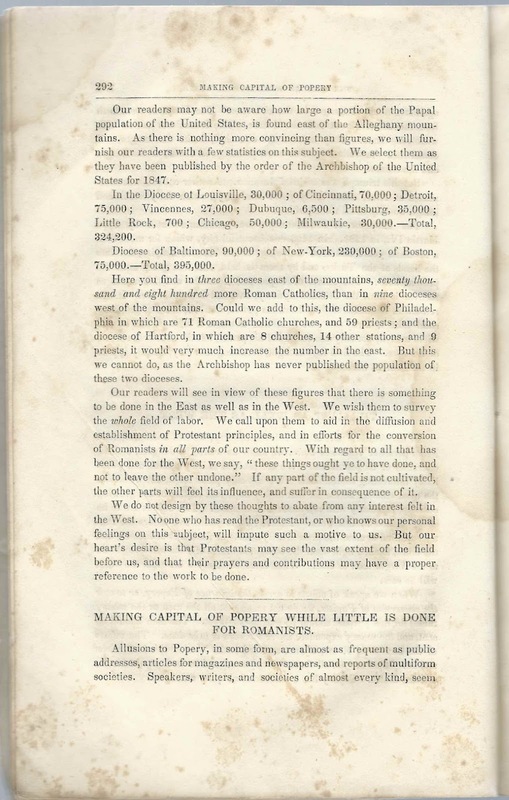 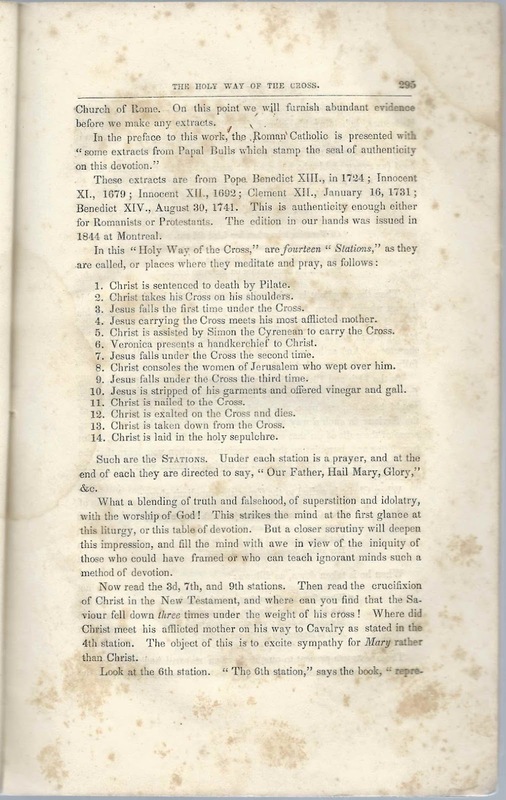 March 1847 Issue of the American Protestant, published by American Protestant Society, New York, New York. 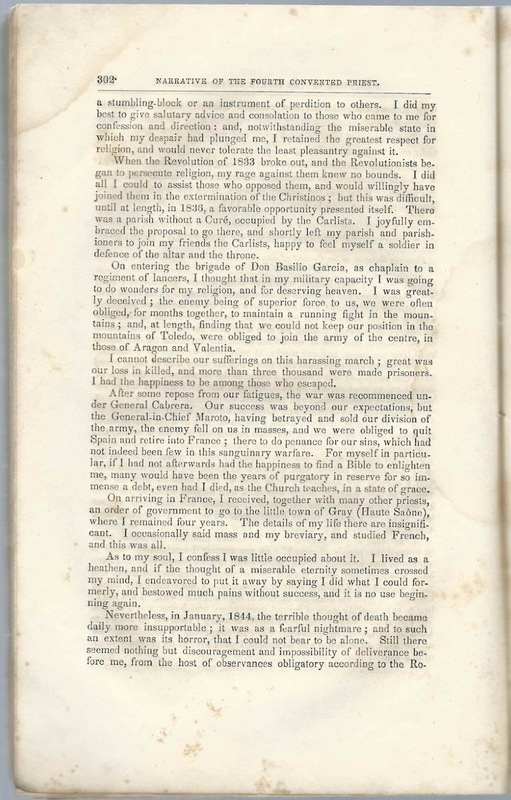 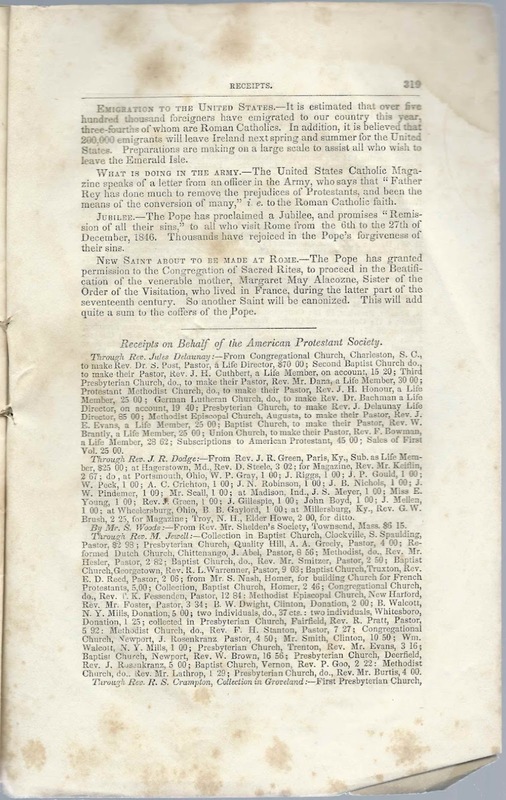 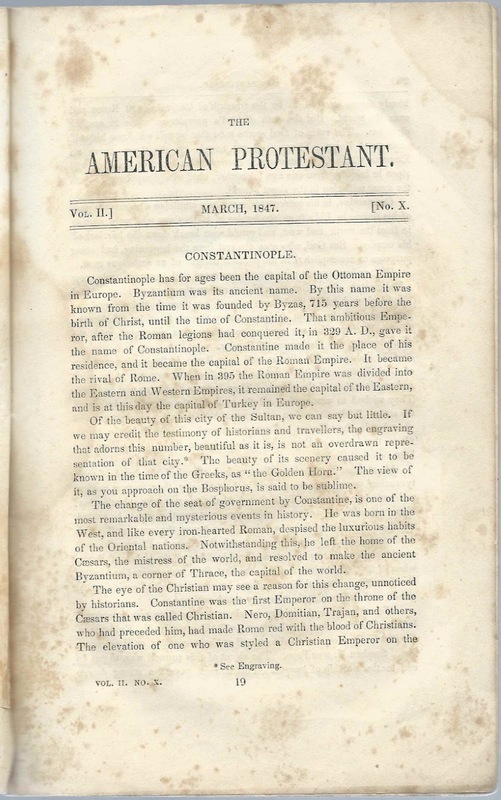 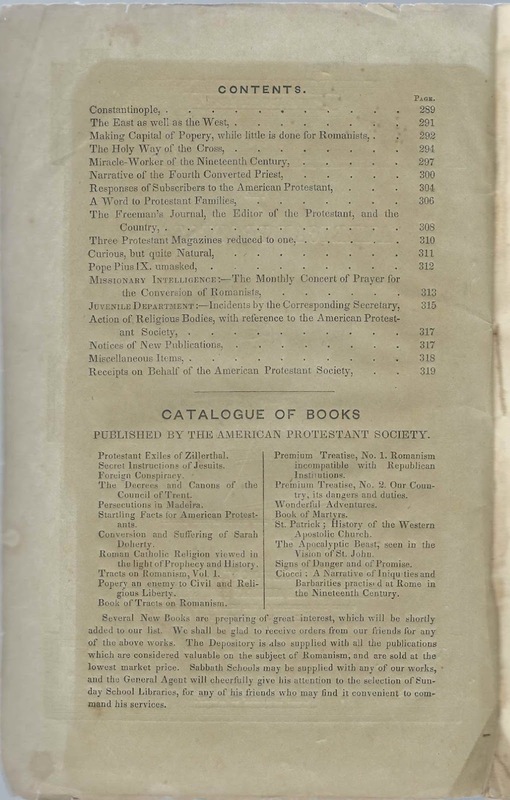 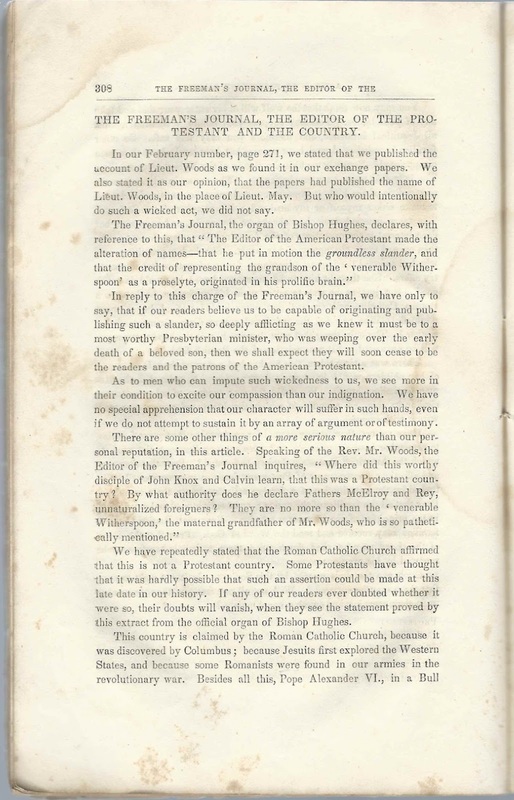 March 1847 issue of the American Protestant, published by the American Protestant Society, 143 Nassau Street, New York, New York. 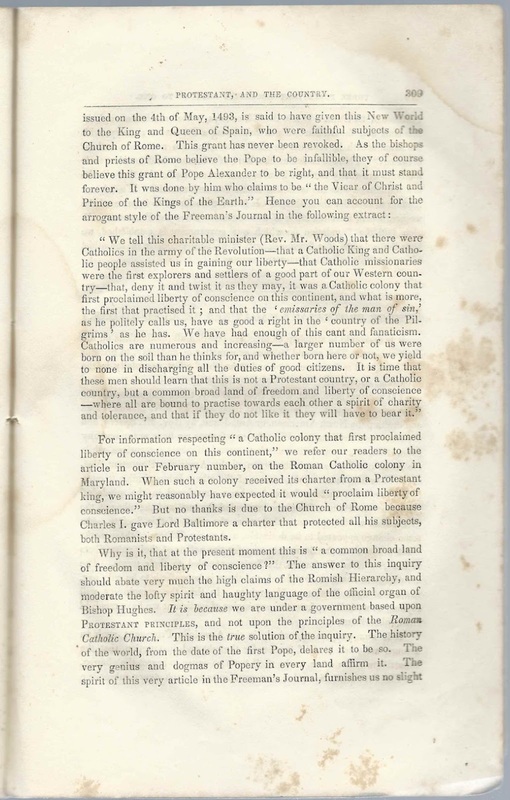 This magazine reflects the deep division between Protestants and Roman Catholics at that time. 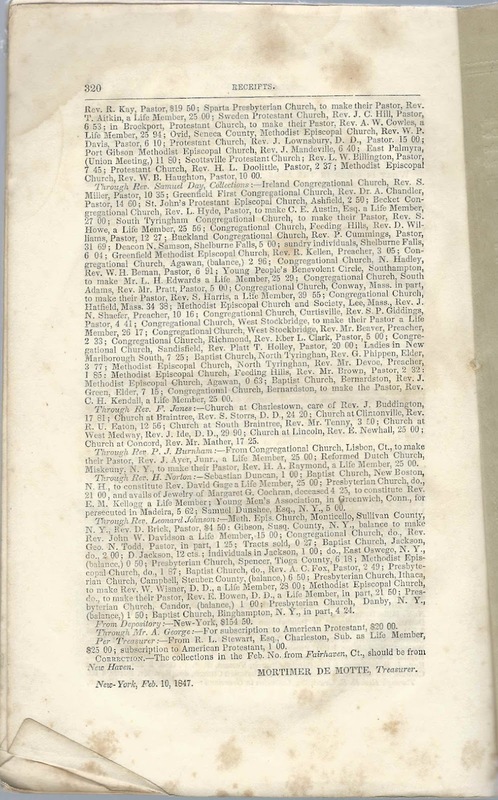 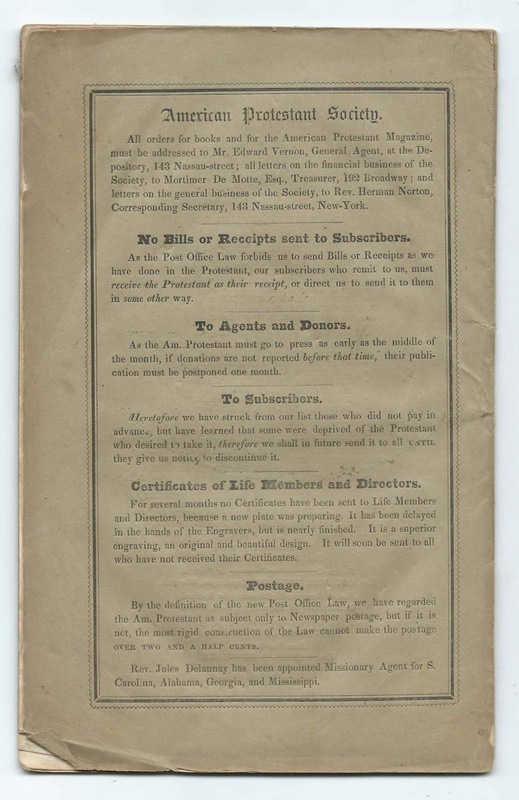 Near the top of the front cover is a handwritten name that appears to be Byron Greenough. 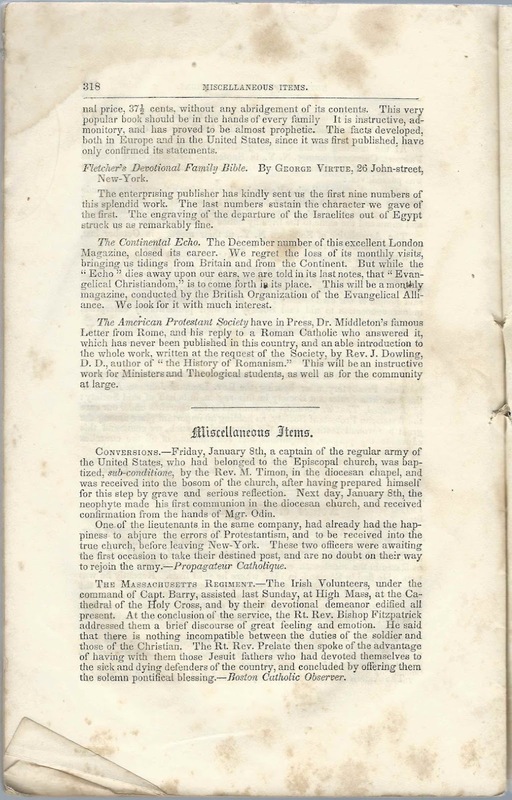 The periodical was purchased in Maine. 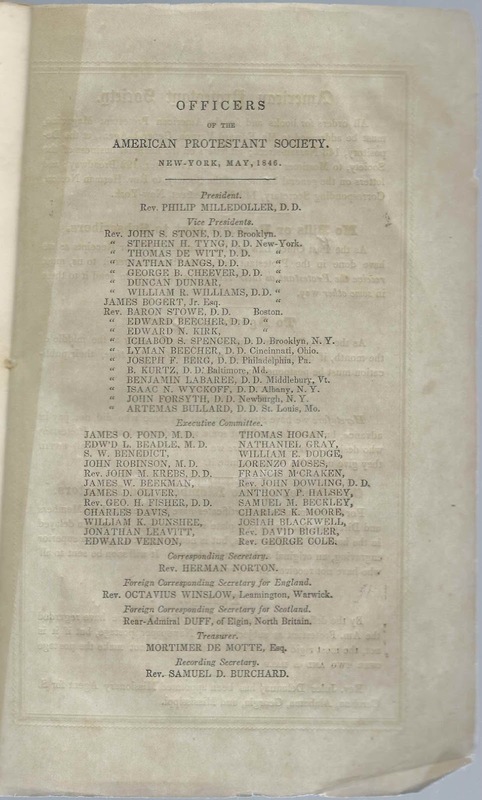 Intriguingly, there was a Maine resident of that name during that era. 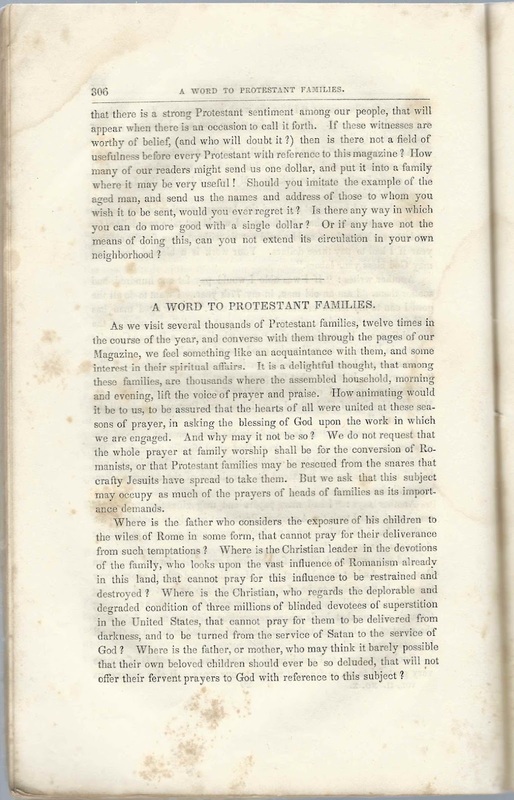 Byron Greenough (1798-1871), was a Massachusetts native who, about 1821, moved to Portland, Maine, where he became a successful merchant and church deacon.